Joachim Knoll is a partner at Lalive and has been practising international arbitration, both commercial and investment treaty arbitration, since 1999. He has acted as counsel and arbitrator in over 60 international arbitral proceedings, ad hoc (including UNCITRAL) or administered (ICC, ICSID, Swiss Rules, LCIA, DIAC, AAA/ICDR), governed by various procedural and substantive laws, including Swiss, French, German, English, New York and Turkish. Joachim Knoll is experienced in disputes involving the main aspects of commercial transactions, in particular disputes relating to the international sale of goods, distribution and investment disputes in the construction, energy, mining, telecommunications, broadcasting and aviation sectors. He also advises clients on arbitration-related matters including drafting of arbitration agreements, challenges and enforcement of arbitral awards. In addition, he provides advice to governments in the negotiation of investment treaties, as well as to investors on how to structure their investments to ensure effective investment protection. Joachim Knoll is a former member of the Arbitration Court of the Swiss Chambers’ Arbitration Institution which administers arbitrations subject to the Swiss Rules of International Arbitration. He also acted as co-chair of ASA below 40 (Swiss Arbitration Association) from 2010 to 2012. He is head lecturer and a member of the academic council of the Swiss Arbitration Academy. Since 1999, Joachim Knoll has practised in arbitration in France with Shearman & Sterling in Paris (1999-2006) and in Switzerland with LALIVE (2006-2008) and with Brown&Page in Geneva (2008-2012). He studied law at the universities of Hamburg and Cologne and passed his First State examination in Cologne in 1998. He holds LLM degrees from Boston University (2004) and King’s College London (1999), as well as a degree in European law and public international law from the University of Aix-Marseille III, Aix-en-Provence, France (1995). Joachim Knoll is identified as “an outstanding practitioner” who is “precise, hard-working and a pleasure to work with” by respondents this year. Joachim Knoll is an “excellent lawyer”. Joachim Knoll is widely respected among peers, who “would strongly recommend” him for his “exceptional” work as both arbitrator and counsel. Joachim Knoll has a “prestigious reputation”. The “internationally renowned” Joachim Knoll is an “expert” on disputes in the construction, energy, mining, aviation, telecommunications and broadcasting sectors. Joachim Knoll impresses peers with his “determination and drive”. 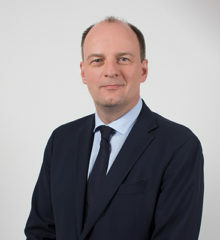 The ‘top notch' Joachim Knoll is experienced in disputes in a variety of sectors and peers praise him for his ‘versatility'. Joachim Knoll joined Lalive in January 2013 and is rated as a 'real asset to the firm'. He is very well regarded in the market and received votes from Switzerland and abroad. KIEV Arbitration Days 2016: Think Big! Commercial Arbitration Involving States: Public Interests and Private Justice? What Counsel in Arbitration can do, must do or must not do? The Procedure of International Arbitration: How Effective are the Tools? Zurich 05/10/2007 Joachim Knoll Speaker: Securing enforcement in advance of the award: what can be done (security for claim, attachment of assets, and other conservatory measures)?